Hereford United have extended the loan deal of defender Andy Corbett from Burton Albion for a further month. The 30-year-old has made five league appearances for the Bulls since arriving on an initial one-month loan deal from Albion on New Year's Day. 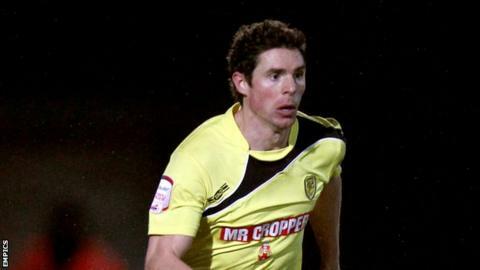 Corbett, who has played 364 games for Burton since joining them in 2003, is yet to be on the losing side in a Hereford shirt. Hereford currently lie 12th in the Blue Square Bet Premier table.